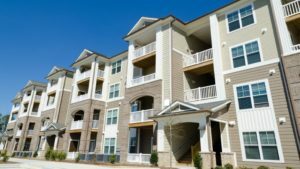 How much is Renter’s Insurance in Denver, CO.? Homeowner’s insurance can be one of the most important purchases you ever make for your home and your family. Mother nature has a way of throwing some crazy things at us. Most people understand how important a homeowner’s insurance is, but what about renters? You don’t own your house or the apartment you live in, why should you have insurance to protect it? In this article, we are going to tell you why you should consider buying renter’s insurance and how much it’s going to cost you as a renter in the Denver, Colorado area. When you’re looking at renter’s insurance (or any insurance plan for that matter), you need to look at the different categories of coverage. You want to ensure you’re getting the protection you need. Liability coverage is a huge part of any insurance plan. If someone were to get hurt while they were in your home or apartment, there is a chance you could get sued. You would have to pay legal fees and hospital bills. All of those can quickly add up to thousands and thousands of dollars. This is where your liability protection when comes in. Instead of you have to pay out of pocket if someone trips and falls, your insurance plan will pay for it. This is the portion of insurance most people think of when they think of when considering a renter’s insurance plan. Even if you don’t own the roof over your head, you probably own everything under the roof. Let’s say there was a fire in your apartment. You wouldn’t have to pay to replace the building, but you would be responsible for having to replace all of your clothes, electronics, jewelry, furniture, and more. Just think about how much it would cost for you to buy all of your belongings again. It would get very expensive. A renter’s insurance policy will protect your belongings from any of the perils, like fire, theft, and more. The amount of personal property protection will depend on the plan and the carrier. One important note about personal property protection is the exceptions. Some category of goods have limits on how much is protected. Depending on your plan, you might need to pay for additional coverage. Let’s go back to the situation we mentioned earlier, of your apartment suffering from a fire. Not only would all of your belongings be destroyed, but where would you live? You can’t live in a burnt up apartment. You’re going to have to stay in a hotel or find somewhere else to stay, very quickly. Luckily, your renter’s insurance can help you get through this time. The average renter’s insurance policy is going to help you pay for any additional living expenses you might run into. This could include the costs of staying in a hotel, increased travel costs, or even food costs. How Much Does Renter’s Insurance Cost in Denver, CO.? All of these factors are going to be put through the carrier’s algorithm. Because there are so many variables, we can’t pinpoint exactly how much you’ll pay without talking to you first. We can get you a rough estimate dark. In 2018, the average annual cost for Renter’s insurance in Colorado was $222. Once again, because there are variables, you may not be able to get this price, but you could get a plan cheaper. Even inside of Colorado, there are some cities which are much cheaper for renters than others. Living in Trinidad is cheaper than living in Boulder. Denver is the most expensive city for renter’s insurance, but we can still find you a plan you can afford. If you want to know exactly how much your policy will cost, feel free to contact us. We worked with the most popular carriers for renter’s insurance in Denver. We know the companies which sell the cheapest insurance plans. Not only can we provide you with affordable plans, but we can also help you decide how much insurance protection you’ll need. If you want to partner up with one of our expert agents, we have two ways you can get a hold of us. One way is to head over to our contact page. The other is to call us at (720) 209-4598.